I had a CEL for the knock sensor pop up on me the other day. I ordered a new sensor today and hoping it clears the issue. I need to do a smog check! Has anyone else had their knock sensor fail on them? I checked with my friend at Honda and he said they do go out but not all the time. 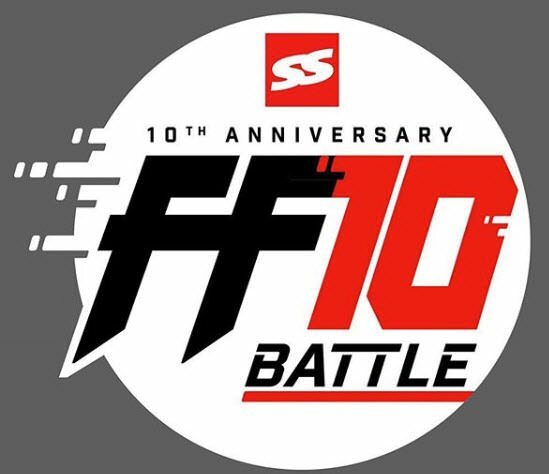 Guess who's going to Super Street's FF Battle 10 next week?? I got the email confirmation this morning and we'll be competing at Streets of Willow next wednesday. Not planning to make any major changes to the car other than swapping in some fresh pads and rotors. I had a CEL for the knock sensor pop up on me the other day. Has anyone else had their knock sensor fail on them? I've had a few go on cars with stiff motor mounts or they were over 15 years old. Not sure if it's related; just an observation in my case. Never changed one on a TSX but, they're usually fairly simple and inexpensive sensors. Get an OEM or high quality replacement and you'll be good for years. Ok, good to know. Honda had two on hand so it eased my mind a little knowing the sensor likely just went out. My car is a 2004 with 215,000 miles and it's been hot af out here lately. Update on the knock sensor. Replaced it last night. Didn't take any pictures but the CEL is gone and the car is back to running normal again. Next up is a smog check then swapping to the RBC manifold. Hey Tony could you take some detailed pics of the RBC swap you're doing been trying to find some detailed pics of the vacuum lines and what not and there are none. I just ordered p2r manifold and tb gaskets and hope to get the car tuned by Dan from etunez, also what do you plan on using for intake arm? Custom or euro r? And CANNOT wait to see what you do with the car and FF10! Make sure the ports align with the spacers and tell your tuner which configuration your 02 sensor pickup is - collector like stock or single or pair of tubes for aftermarket ones. The factory exhaust manifold has the 02 port at the collector for all 4 tubes, many aftermarket ones like PLM pickup only a pair of tubes so dyno tuners double the input when tuning but canned flashes don't have that built in. 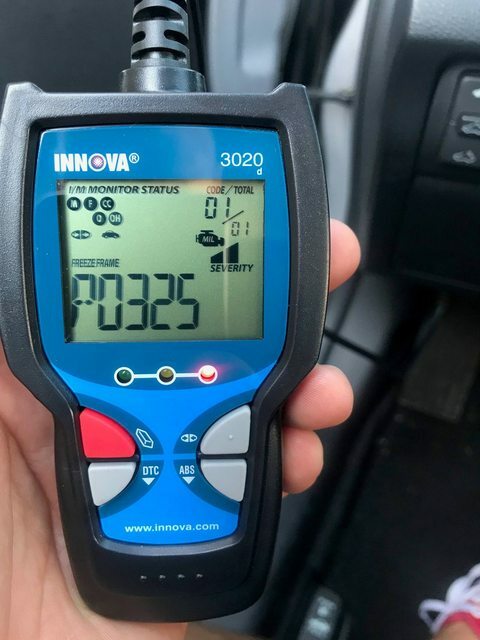 It's important as your pickup and mileage especially will suffer. The gaskets act like 1/4 inch spacers or so and can misalign or gap the ports between the IM and cylinder head causing turbulence. It's better to remove the coolant loop from the throttle body and run an intake that picks up the lowest temp air possible, like the CT Icebox. I've seen no real tests where an IM spacer made a measurable difference on the street. Ahhh ok appreciate the input! Thank you for clearing that up. 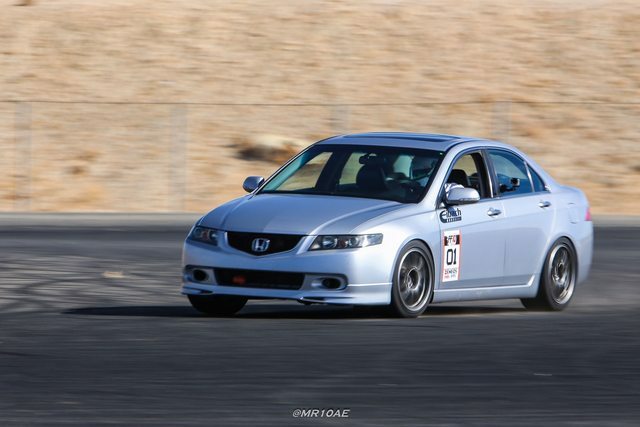 I worked on the TSX over the weekend to get it back to track mode for this week's FF Battle. It ended up being more work than expected but glad it's ready to go. Fresh brakes, coolant bleed, tire rotation, swapped stock header for PLM header, swapped stock seat for Momo seat and removed back seats. 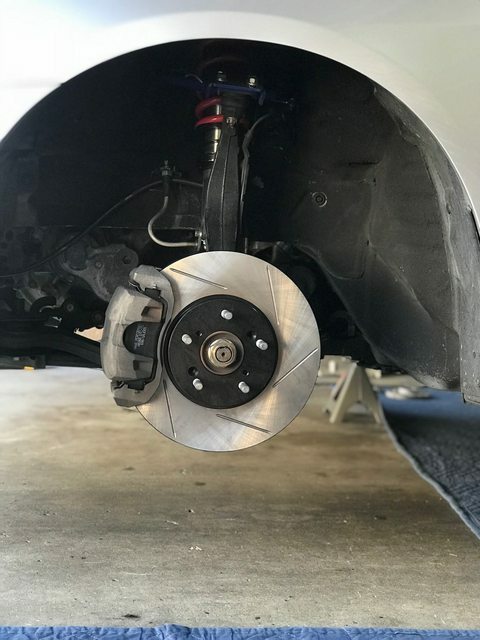 I swapped in fresh Hawk DTC70 pads and StopTech slotted rotors. This combo lasted me over a year with excellent results. A lot of people have asked if it's worth going to a slotted rotor like the StopTechs. My answer to this: If you plan to run aggressive track pads it's worth it to spend the few extra bucks on a rotor that will last. 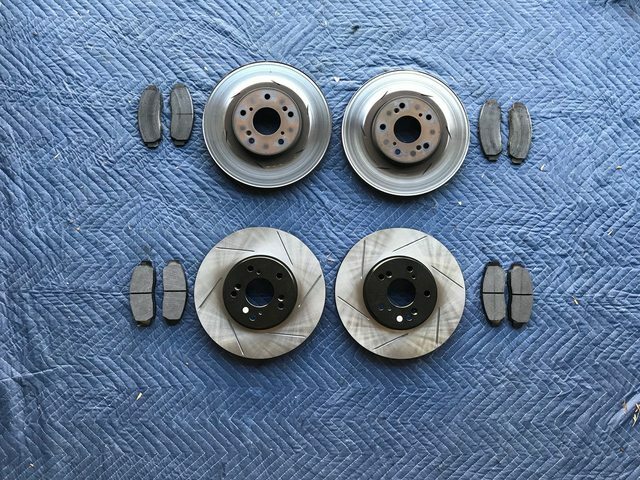 Cheap rotors will get pad transfer and cause brake judder if they're not properly cooled down or even just overheated. I'll for sure go through my list because I've done some searching and don't have a 100% clear picture just yet. I've got just about everything but the water hoses to complete the install. I have to get my car smogged after FF Battle and Laguna Seca this week so once that's sorted I'll jump on the RBC install. But I plan to use mostly OEM parts including the Euro R intake tube. Thanks! I'm looking forward to this one. 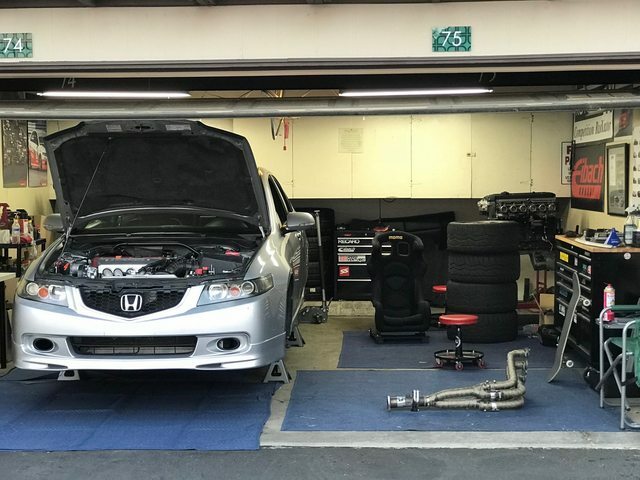 It sounds like there will be a few k-swapped Civics, new CTR and quite a few others in my class competing. Hopefully the TSX can keep up! 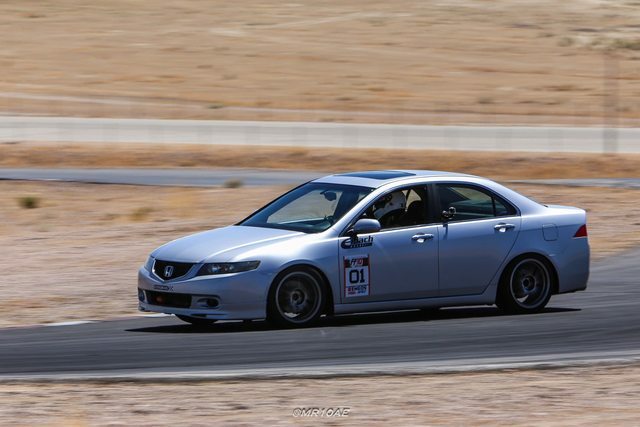 The TSX ran flawlessly at FF Battle last week! I ran in the street class which required 200TW+ tires so I ran on the Falken Azenis RT615K+ I've had on for a few months. I was able to run consistent 1:29-1:30 laps with my best lap being a 1:29.0. In the end, my car just didn't have enough power to be competitive against the Civic Type R in my class with 345whp and a slew of k-swapped Civics. I'm happy with how the car performed and expected it to be right around this lap time range. I don't have the official results for street class but it looks like i ended up around 7th or 8th. Sounds like you fought the best fight you possibly could and simply were just out gunned! That's the only thing about the tsx it definitely needs a mildly built motor to compete with the lighter kswapped cars! Soooooo...what's your plan haha? All motor? Supercharger? Turbo? Or leave as is? Either way looked like you had a blast! On post 175, what did you replace that front fork bushing with? OEM or? And you still dont recommend the monoball/hard factory compliance bushings for daily driving? Did you end up going TL-S? Haha, thanks! I'll have a Laguna Seca post coming soon too. Still getting my photos together. Man, I rung this TSX out as best I could and it actually beat quite a few cars it probably shouldn't have. 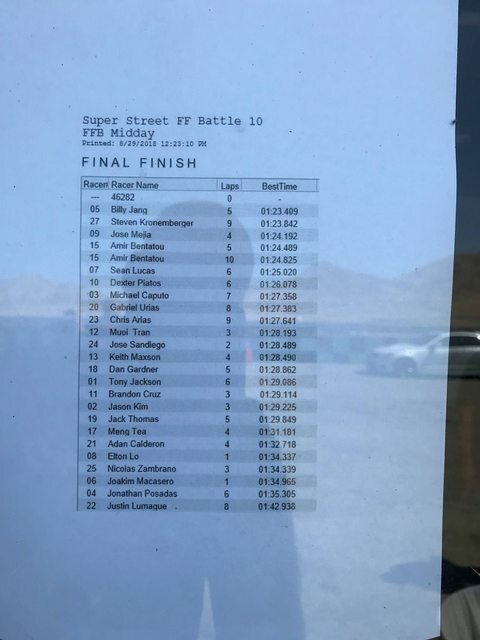 I'm happy with how it performed and it will perform better on other tracks like Buttonwillow and Chuckwalla where driver and car set up make more of a difference. Streets of Willow is not the most ideal track for heavy cars. I think the next major step would be to get more power out of this thing. I still have my RBC manifold I need to put on. Beyond that I think some Drag Cartel drop-in cams, 40° VTC, bigger throttlebody, K20 head and Flashpro should help tremendously. Maybe a clutch diff from MFactory or Kaaz too. This would be way down the line though. My front compliance bushing is still the TL-S version and I'm pretty happy with it. 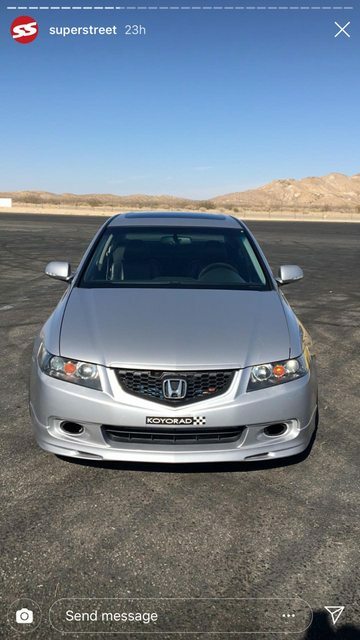 My auto TSX had the monoball pieces in when I sold it but it now belongs to another friend here at Eibach. I'm curious to swap them back in to see how they feel now that everything else with the suspension seems to be sorted finally. I'll report back if I end up swapping these arms back in. 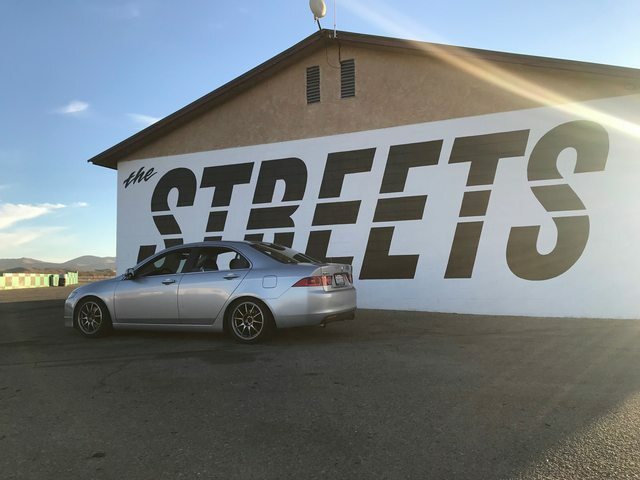 Any updates with your TSX? ?